For the third race of the season, we traveled to Barber Motorsports Park, in Birmingham, Alabama. This race weekend was with IndyCar, which was pretty cool. Almost every year, I attend the Indy 500 so I’m very familiar with these cars, but being paddocked with them on a race weekend is a different experience altogether. I felt like we were among the Indy drivers and we were just as important as them. 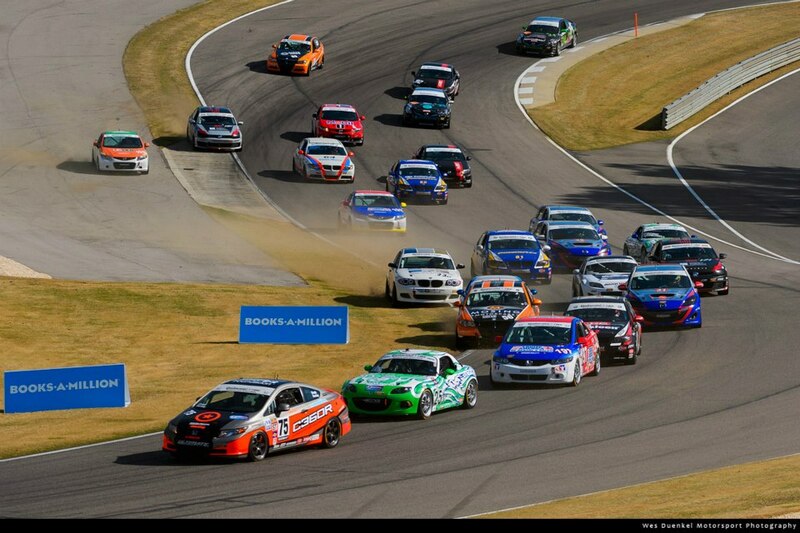 The fan support was great, just like all CTSCC races. In fact, at Barber I had several people come up to me during the fan walk before the race and tell me they were Honda fans and would be routing for me. It’s always nice to have fans supporting you and in a series like the Continental Tire Sports Car Challenge, it’s very easy for fans to relate to us and our race cars. Our Honda Civic Si race car is off of the factory line and is almost as close to stock as you’re going to get in racing. A Honda Civic from the street and our Civic look almost the same as well. The series makes it very easy for fans to recognize their car and see their car in a whole new element. Part of the reason for so much Honda support was probably due to the fact that IndyCar was there and Honda is a big supporter in that series. There was an HPD hospitality tent at Barber and many Honda associates were in attendance. It was nice to meet some of the head guys at Honda and show them around our paddock. It was good to see Honda’s big presence at Barber. Because of the good presence, we really wanted to do well and represent the brand. Barber is Owen’s home track, so going into the weekend we had high hopes, especially after having such a strong car at COTA. For Barber, we were still in the 2011 Honda Civic. The team is working to convert to all new 2013 Hondas this year. Our car is still in the process of being built. At Barber, we had four days on track. The weather made things a little difficult for us. The first day of testing we only got two dry sessions. We were P1 in the first session. The next two days it was wet, but a dry line formed for qualifying. Then on the first lap of qualifying there was a crash that ended the session, so we were gridded on championship points. This meant we were starting 4th. I honestly know we could have started higher than 4th, but that’s how it was going to be. I was excited that we basically didn’t get a dry session until the race because we had a great setup. The team had tested at Barber two weeks prior to the event, so we had an advantage. Any advantage I can get in the CTSCC, I’ll take. The race started off really well. I moved into second on the first lap. On lap 6, while in third, we experienced throttle body issues and I had to pull off the race track and crawl back to our trailer. The crew hustled like crazy to fix the car and got us back out there, but we were 13 laps down. We finished 23rd, salvaging 8 points towards the championship. For having such a fast car and a successful weekend before the race, we obviously expected better results. We went from 4th in the championship to 12th. That was our bad race. Hopefully we got that out of the way and can have a strong result at our next race and get back in the championship fight. 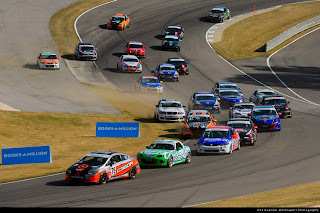 Our next race is at Road Atlanta in Braselton, Georgia, April 20th.